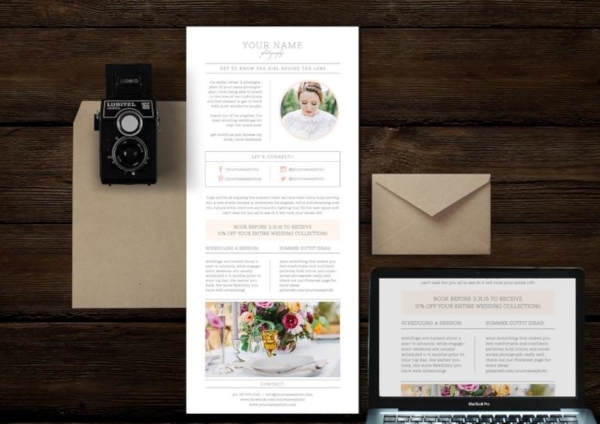 Whether you run a business that provides wedding-related services or that you are the one who is going to get married, you can always make use of wedding email newsletters way to invite your intended guests. If you are a business owner, the use of email newsletters will benefit you since you can make use of it in marketing your service. If you are the one who is getting married, the use of email newsletters will assure you that you will make everyone informed of the progress of your preparations and keep everyone on top of all the things that matter to your upcoming wedding event. 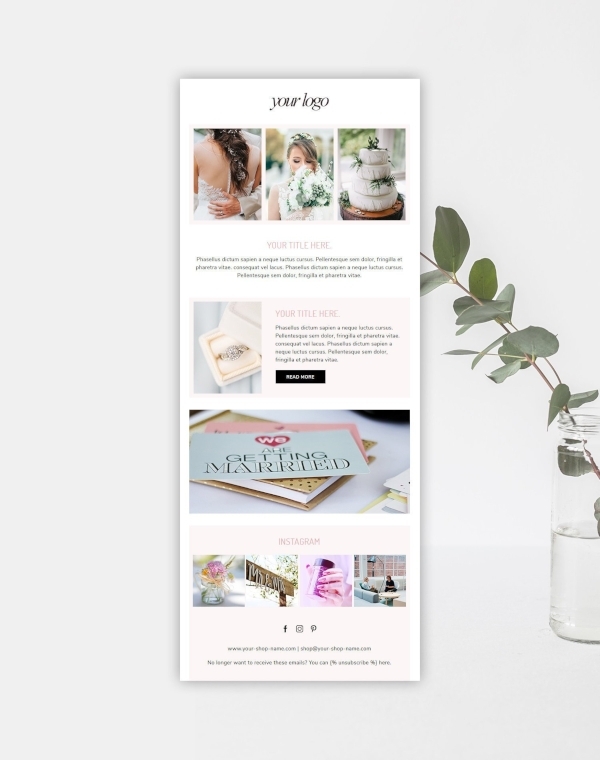 So if you are looking for a wedding email newsletter example that can inspire you for your own upcoming wedding or for your wedding-related business, look no further because we have it here for you in this very article. 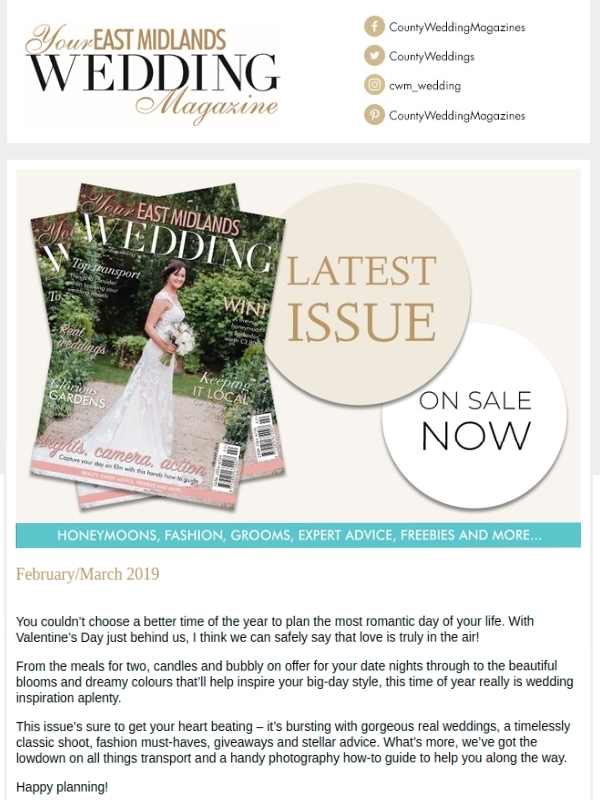 To top that, we have also provided some wedding email newsletter templates that will help in creating a wedding email newsletter of your own without having to start from scratch. Getting married soon? You may consider the use of an email newsletter to update your guests on the necessary information they must know regarding your wedding. Make sure your email newsletter is as effective and as informative as possible. 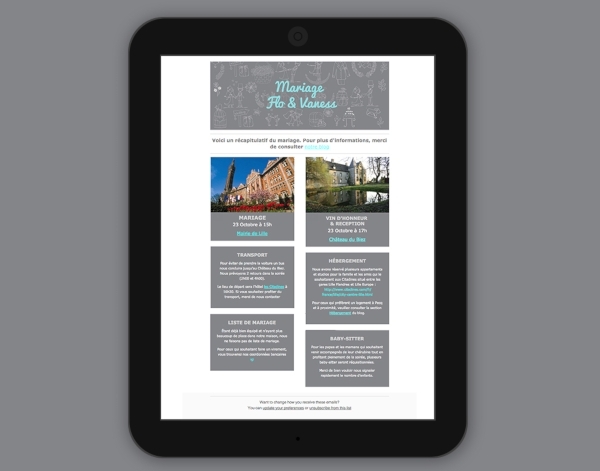 What makes your email newsletter informative is by making sure that you will include information regarding the news of your engagement, your official wedding date, your chosen venue, the accommodation information of your non-local guests, and a whole lot more. By ensuring that your newsletter is as informative as possible, you will be able to eliminate all the follow-up phone calls and emails and you save so much time in return. Download this template to start creating an informative email newsletter of your own. With the use of a wedding email newsletter, you can conveniently provide a special section for each of your family members and the rest of the guests at your wedding celebration where you can conveniently provide information for them regarding your upcoming big day. This will also be convenient for them since they can immediately get the information they simply want to get from you. Is everyone informed about the gown fitting? You can list such information on your email newsletter. Is there going to be a bachelor and a bachelorette party? You can include the details in the email newsletter. Your guests will no longer get confused anymore since the flexibility of an email newsletter would allow them to properly comprehend every single detail that include in your final material. Do you offer photography services to wedding events? 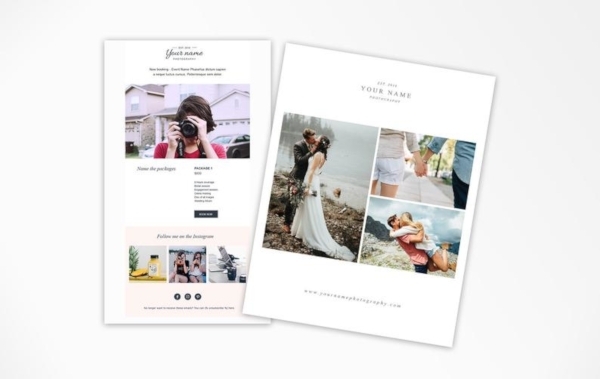 Stay on top of your competitors by making use of a wedding email newsletter in marketing your photography services. If you think that social media marketing alone will just suffice, then you are in the wrong because the use of social media will only get your marketing strategies buried under all the different types of industries who are also making use of social media part of their marketing efforts. With that in mind, you can really make use of a different market strategy, such as a wedding email newsletter that will surely elevate you in the eyes of your target clients. As mentioned, marketing and advertising your photography services via social media alone won’t cut it. You need to have something that will allow you to stand out from your thousands of competitors and one of that would be sending your target clients with a wedding email newsletter that contains all of the information regarding your wedding photography services. However, do not just send email newsletter carelessly—you have to plan out intensively on how you are going to make sure that your email newsletter will contain all of the necessary information that most of your clients will be needing from you. Keep in mind that your target clients will most likely treat you in two ways: they will either dismiss you or be interested in you, so you have to make sure that they will really do the latter. 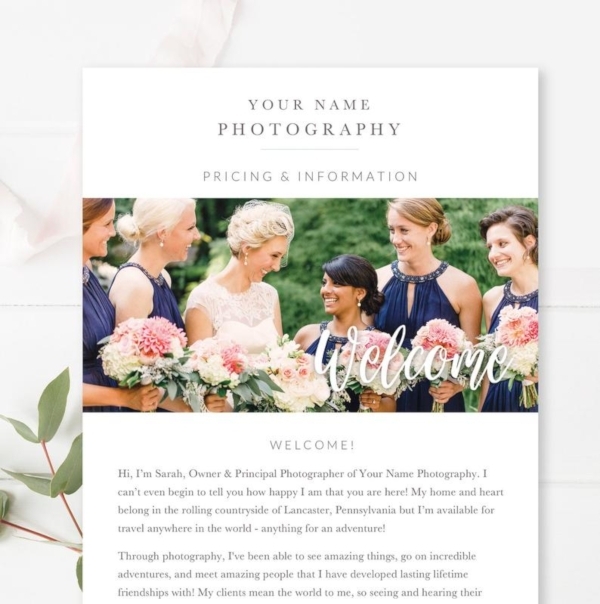 Do not make the mistake of just sending a wedding email newsletter of your photography services without listing down the prices of your wedding photography package prices? It is pointless if you will just merely include your best shots. No matter how much you want to make your target clients avail your services, it will still be of no use if you won’t include the list of its corresponding prices. 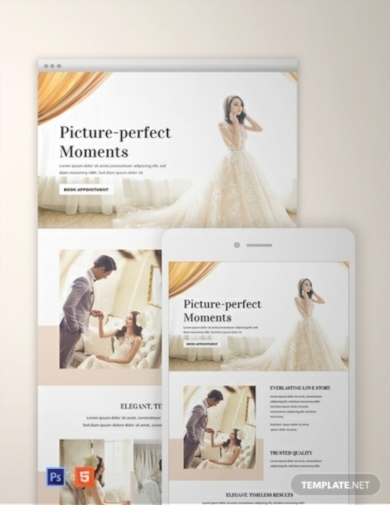 Sure, you might be doing that to add a surprise and mysterious element to your email newsletter design but also keep in mind that your target clients who are obviously busy brides and grooms would want immediate information on things such as prices of the services that they would like to avail so they can already include it in their wedding budget. So if you want to please such kind of clients, make sure that you offer them convenience by directly stating the pricing details of your wedding photography services. If you are a wedding planner, you may already have encountered brides and grooms that you can consider as information hounds. This kind of couple are the ones who would relentlessly hunt down and research information when it comes to their wedding plans. With that in mind, you have to prepare yourself by making sure that you would already provide them the necessary information they would usually look for. One way of encapsulating everything is by putting every single possible detail that they will be needing in a wedding planner email newsletter. It is also through this that you will gain their trust and build your credibility. Now that you know sending email newsletters can actually make you stand out from your sea of competitors, consider downloading the given template above and start making your own. Do you publish wedding magazines? Make sure you market your new issue release with the use of an email newsletter marketing such as the email newsletter example given above. It is through an email newsletter that you will be able to tease the avid readers of your magazine of its upcoming release without giving away too much. Aside from that, you can also add in some personal letter that you can directly address your target readers.